tysteve20 wrote: Mwc just posted on Instagram about Caroline and Martin being honorable mentions but not Merrill?? Mwc just posted on Instagram about Caroline and Martin being honorable mentions but not Merrill?? Doesn’t surprise me that they went under. I thought they’d at least make it through the “playoffs” and the full season. Anyone every make it to a game? 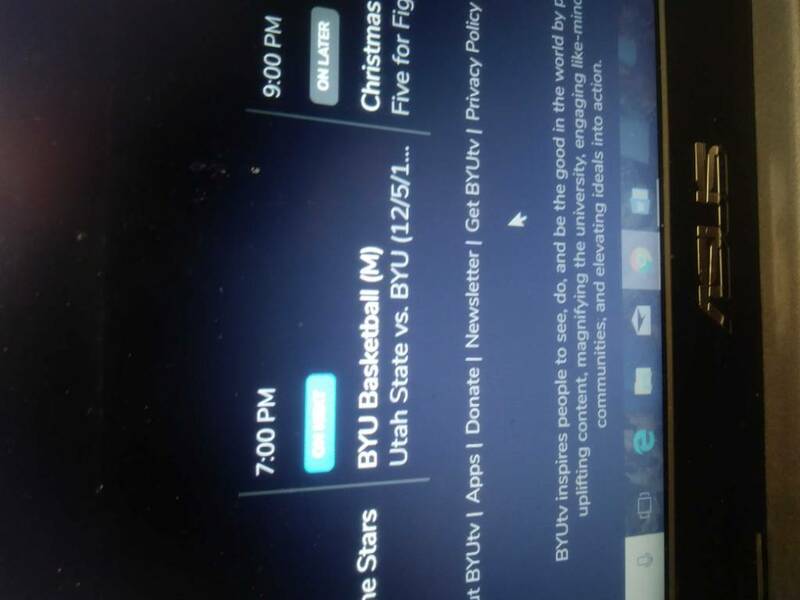 I was also just as confused considered he said Utah Valley State. 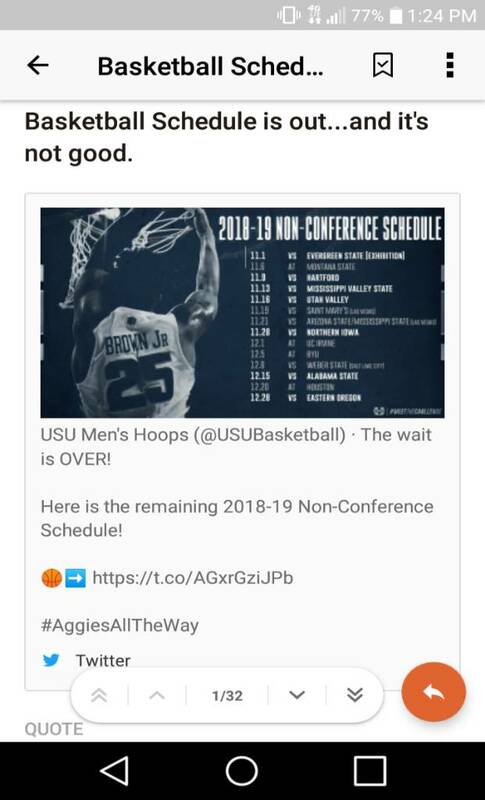 the wolveraggies? Raggies ruined my perfect first day bracket. Topic: Sam vs Caleb. Full 40 minutes. The game within the game. Re: Sam vs Caleb. Full 40 minutes. The game within the game. I want one of Beans little celebratory jig. Just did the exact same thing. Just rolled my eyes and moved on, as usual with brad rock. I would be weezing like Sam too if I had just played the full 45 minutes. Did he ever sit?? ESPN app says no. 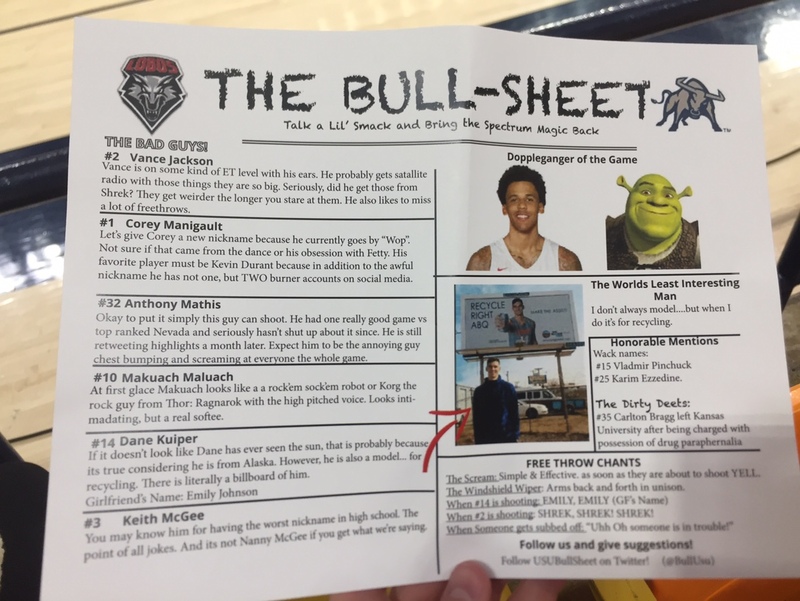 The bull sheet from the NM game. I wasn’t around for refraction or bangarang but this is what is happening now. How does it compare? Topic: Fodder for the HURD? Don’t know if this means anything but his city on Twitter is Boston. Not Logan. But I’m not sure if it ever was Logan though. I grew up in logan going to games, I was in middle school during the best years. Now I'm actually a student at usu I'm constantly dissappointed with my fellow students. Ya, recent rumour is he flunked all his classes. Hasn't been in at all vs Nevada. Do people forget this thread existed? It was all complaining about the schedule and making fun of evergreen st.
Topic: I . . . .
Re: I . . . .
Topic: North Texas is bringing a student section. Re: North Texas is bringing a student section. As a student, if I wasn't working that night, I would be on a deal like this in a heartbeat. Lets just bring back 2012 all together. Special teams: Leon Jackson III (why not a little 2005 too) I mean he was the punter. RigAggie wrote: "Guys in the NFL" Bobby Wagner retires and comes home to coach the Aggies?